This decision has made all residents of the district of Uttarakhand legally responsible for the welfare and protection of animals, similar to how parents are legally responsible for the welfare of their children. [iii] Despite this groundbreaking step in the fight for animal rights, it is likely that the Indian Supreme Court will overturn this ruling. That does not mean that the growing global movement to extend our ethical considerations to animals will stop. An increasing number of studies suggest that animals may possibly possess cognitive abilities similar to that of humans, contrary to popular wisdom. Episodic memory, also known as “mental time travel”, is a type of long-term memory that allows people to recall past events and experiences in a serial form, from which we can reconstruct the actual events that took place at any given point in our lives. [iv] This is an extremely vital skill when it comes to human intelligence, because this type of long-term memory allows people to develop complex strategies to solving problems. However, according to University of Kentucky psychology professor Thomas Zentall, humans are not the only species known to have episodic memory. 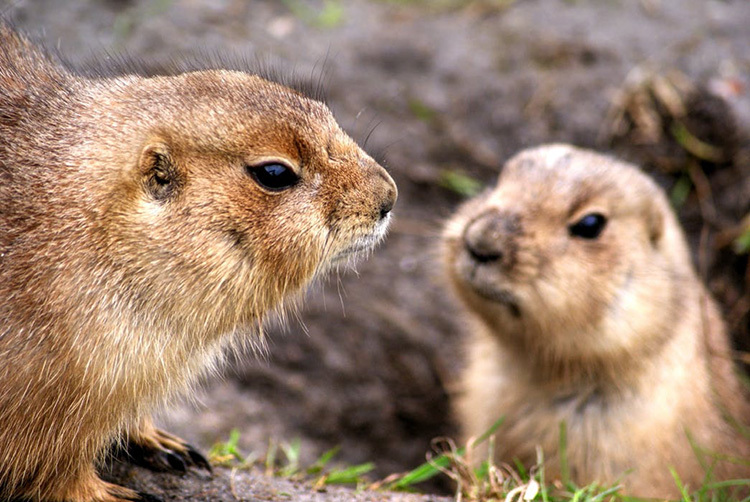 In multiple studies conducted by Northern Arizona University professor and psychologist Con Slobodchikoff over the past 30 years, there have been numerous discoveries about the way prairie dogs – whose natural habitat is within the Arizona desert – communicate. The most significant discovery made was in Slobodchikoff’s 2009 study that analyzed their behavior when the prairie dogs were threatened. So why are animals, such as orcas, are still having issues with cruelty, decreased population, and the threat of extinction? What Is Earth Law, and How Does It Support Animal Rights? One answer has to do with how we see the world. If a human-centric worldview justifies the continued suffering and extinction of animal species, an earth-centric worldview holds that humans are one part of an interconnected web of life on Earth and dependent on that web for survival. Drawing from both indigenous world views as well as a decades long movement for Rights of Nature, Earth Law holds that nature has inherent rights and legally deserves the same protection as people and organizations. At Earth Law Center, we recognize nature’s right to exist, thrive and evolve: enabling nature to defend these rights in court and protecting nature the way common law protects humans. But how exactly do we do this? Earth Law Center is partnering with Legal Rights for the Salish Sea (Gig Harbor community group), the Nonhuman Rights Project and People for the Ethical Treatment of Animals to seek rights recognition for the endangered Southern Resident Killer Whale population and eventually for the Salish Sea. According to the National Oceanic and Atmospheric Administration, some steps have been taken in order to protect this whale species and prevent its population from further declining. For instance, in March 2018, Governor Jay Inslee of Washington State issued an executive order that listed efforts that should be made to preserve the southern resident killer whales from extinction. Some of these efforts include expanding training programs that teach whale-watching vessels how to assist in the event of an oil spill, reviewing and amending (as needed) recreational and commercial fishing regulations prioritizing protection of key areas and fish runs for southern resident orca recovery, and prioritizing funding for storm water mitigation projects that contribute to southern resident recovery. 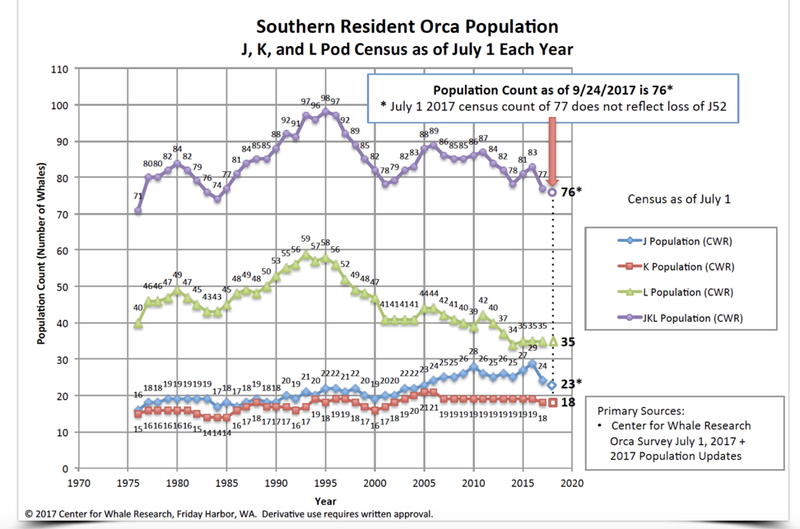 [xvii] Also, earlier this month, the National Oceanic and Atmospheric Administration and their partner organizations mobilized to take care of an emaciated and ailing three year old orca off the Northwest Pacific coast. [xviii] Rights for the Southern Resident Orcas could strengthen the protection of this iconic animal to prevent its extinction.